The Bio-Process group has been developing the concept of modularly constructed bio-refinery production capacities using front end dry-milling fractionation of the corn. The size of the facilities are dictated by the dry-milling equipment on the front end. Dry fractionation systems are marketed by various vendors. The dry-fractionation of the corn gives three streams: grits, germ and bran. Due to the fractionation of the corn prior to fermentation the co-product, high-protein grains stream (HPSG), is similar in composition to soy bean meal rather than Distillers Dried Grains (a commodity product from the corn ethanol industry sold and consumed in the US and internationally). The dry mill germ product stream is high in oil and protein. It is a valuable commodity on its own, or may be further processed on-site to extract food grade corn oil. The extracted de-fatted germ stream is a high protein / value feed stream. 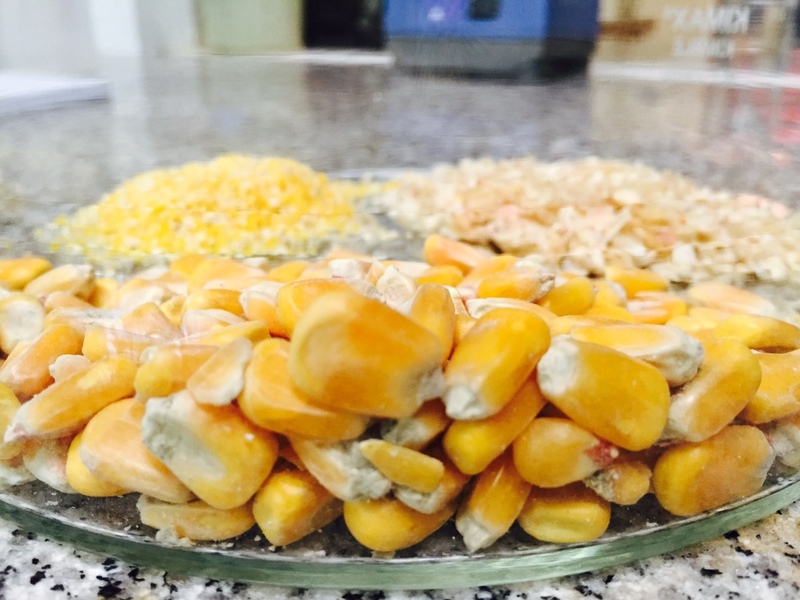 The corn bran product stream is the lowest value stream from the dry milling separations, due to its primary composition as fiber, however, many food processors are looking to include more fiber in their products. The use of the stream for boiler fuel can be considered based lack of marketing opportunities. The yeast paste steam at 15 to 20% TS is a high protein, pro-biotic, live yeast product. It can be sold either as a wet or dry live probiotic product or dried at high temperatures (killing the yeast) and sold as a high protein supplement in either human or animal nutrition marets. The ethanol can be sold as either fuel, potable, or industrial ethanol based on the marketing efforts of the client. The Bio-Process Group can provide either product to the client If industrial ethanol or potable ethanol is a desired product, off-spec streams can be moved into the fuel ethanol market. BPI has determined that zein protein can be extracted from the ‘High Protein Grains Steam’. Zein is a high value product, and based on interest from clients, BPI can include a zein separation process with the MHV system. Approximately 12 to 14 kg zein can be recovered per metric ton of incoming corn.